Brazil jewelry is an important part of the culture and diversity. Did you know that Brazil is the world's leading source of both precious and semi-precious stones? One state in Brazil that is to the West of Rio is called Minas Gerais, which translates as General Mines. This state is famous for its abundance of gorgeous emeralds, aquamarines, topazes, and other beautiful gems. Rio contains two popular international jewelers, known as H. Stern and Amsterdam Sauer. The top five coolest kinds of jewelry you can find are bio-jewelry, butterfly wing jewelry, black diamond jewelry, chokers, and pendants. Bio-jewelry – Bio-jewelry is a unique type of jewelry that embodies the beauty of the treasures found in the Amazon forest. Within the Amazon forest, you can find an array of stones, seeds, bark of trees, mother-of-pearls, coconuts, fibers, wood, gravels, and other natural materials that are utilized to create bio-jewelry. It may be surprising to you that seeds, bark of trees, coconuts, fibers, wood, gravels, and other uncommon natural materials can be used to create beautiful jewelry. Bio-jewelry is an embodiment of the natural beauty, purity, and respect of nature. It is safe to say that bio-jewelry is truly the coolest kind of Brazil jewelry. Butterfly Wing Jewelry – Butterfly wing jewelry from Brazil is not your typical butterfly charm bracelet or stone in the shape of a butterfly. The Brazilian version of butterfly wing jewelry actually uses real butterfly wings to create an interesting piece of jewelry. 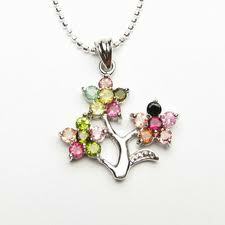 The types of jewelry that contain genuine butterfly rings include pendants, pins, and rings. The rings, however, are not as common to find. 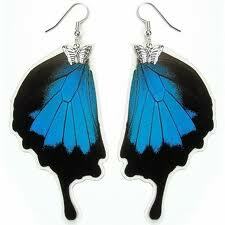 Before blindly purchasing butterfly wing jewelry, you should know how to tell a real piece from a fake one. First, look for a sticker attached to the jewelry that denotes the origin of production and that the wings are genuine butterfly wings. Next, examine the piece of jewelry closely with a jeweler's loupe. If it is genuine, you will be able to see tiny overlapping scales. With practice, you will no longer need a magnifying glass to differentiate between authentic and fake butterfly wing jewelry. Black Diamond Jewelry – Black diamonds were formed approximately 3.5 billion years ago and were once hidden beneath volcanoes. Eruptions of volcanoes a few million years ago shot out this precious gem to the surface, so that we are capable of finding it. The most common diamond around the world is the clear diamond, so most people envision that when they think of a diamond. 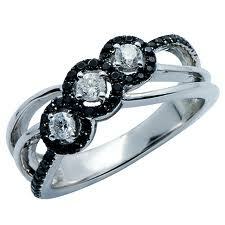 However, diamonds come in different colors, including black. Brazil is actually the leading supplier of black diamonds. 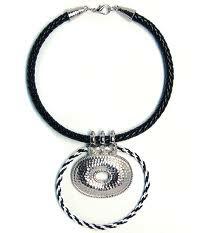 Chokers – Brazil jewelry also includes numerous chokers that are hand-woven and made with many types of gems. The chokers made in Brazil are some of the most elegant, stylish, and unique chokers found in the world. Pendants – Brazil is also fond of creating multifarious pendants that consist of the precious and gorgeous gems native to the land of Brazil. In conclusion, if you want to add some authentic and cool Brazil jewelry to your collection, you must purchase bio-jewelry, butterfly wings jewelry, black diamond jewelry, chokers, and pendants.